For most millennials, the art of wining and dining guests at home is increasingly dwindling in the face of a rising on-demand culture that celebrates both casual convenience and a curated experience. It’s precisely the pursuit of a “deliciously different dining experience” that led Deema Al-Alami, 32, a Dubai-based education consultant, to turn to Chefxchange when planning a birthday dinner for her husband earlier this year. 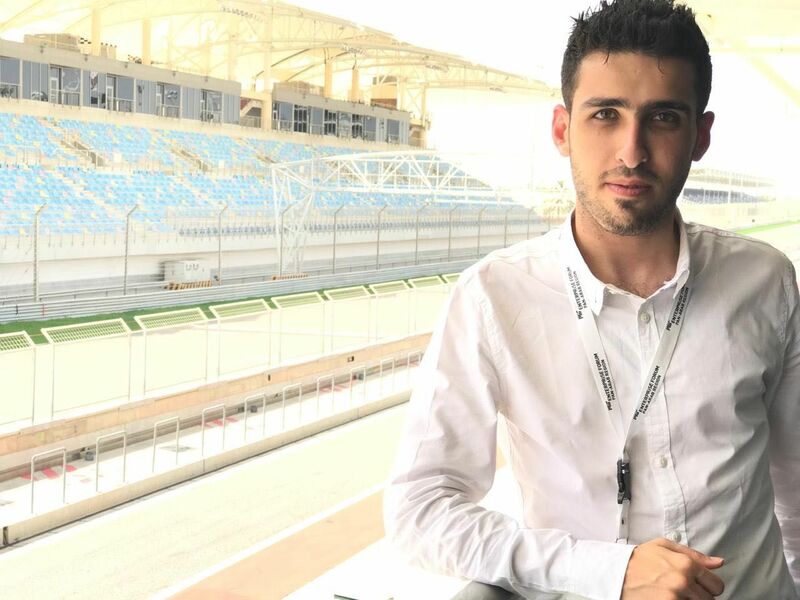 “In Dubai, you’re spoiled for choice but after a while, no matter how fancy or famous the restaurant is, it feels monotonous,” Al-Alami told Wamda. Chefxchange is a first for the Middle East - connecting private chefs to foodies seeking a custom culinary experience. “I still remember the food that our Peruvian chef prepared that evening but the true highlight was experiencing culinary craftsmanship in person,” she said. It’s this immersive experience that has Al-Alami and other fans turning to this young food tech startup to bring something special to the table. “We’re here to democratize the culinary world and the private chef experience, similar to what Uber did with private drivers and Airbnb with private homes,” said Karl Naïm, the 32-year-old French-Lebanese CEO of Chefxchange. A confessed foodie and amateur cook, Naïm cofounded the startup together with American Marc Washington, 35. The duo met during their MBA at London Business School in 2010 where they discovered their mutual love for figures and food. Although celebrity and executive chefs may enjoy professional satisfaction and name recognition, in Naïm’s view many (especially sous chefs) are underpaid and underutilised. Chef Andrea (Dubai) serving shark tempura at a private dinner. He sees Chefxchange as allowing talented and up-and-coming chefs to step beyond creatively constrained and often hierarchical kitchens. 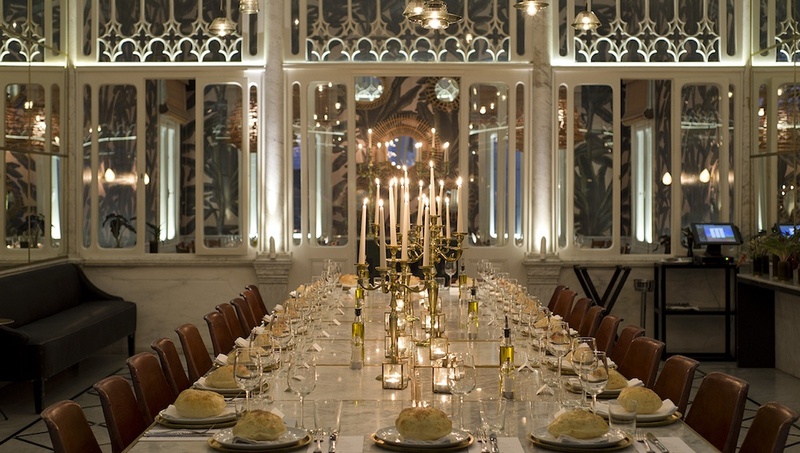 For users there is also the draw of the private chef experience, something hitherto reserved for the influential and elite, at a price point that can be budget-friendly. Launched in March 2014, they’re fast growing with over 900 chefs on-board across eight cities worldwide (nearly 200 chefs are fully vetted by the team). To date, Chefxchange has served over 3,500 culinary experiences. In just a few clicks users can search for their preferred chef (amateur, apprentice or professional even Michelin-starred chefs), cuisine, location and date; interact with the chefs; and book and pay for their desired experience. The chefs take care of everything from buying ingredients, to bringing utensils, cooking, serving and even cleaning up afterwards. Revenue is generated through commissions charged per booking - 15 percent commission on the chef’s side and 3 percent commission on the customer. The more bookings a chef accepts and the more positive reviews he or she receives, the higher the chef places in the search rankings. “We’re also looking to create some kind of a loyalty program that would reduce the commission charged on the chef’s side, incentivizing them to work with foodies only via the platform,” Naïm told Wamda. So how did two young professionals with successful careers in the cushy world of corporate finance segue into the uncharted waters of food tech? Originally Naïm - an active angel investor - sought to invest in a similar concept in the US called Kitchensurfing. Naïm then moved to Geneva with UBS Wealth Management and Washington to Washington DC. But the idea lingered and in late 2013 they went for it. Chefxchange cofounders, Marc Washington, left, and Karl Naïm, right. While Washington worked full-time on the idea, Naïm continued to straddle both his day job and the startup trenches, putting in over 18 hours a day. During the initial bootstrapping phase, the duo conducted focus groups and learned on the go, turning to fellow London Business School alumni for guidance when they hit roadblocks. Chefxchange then went live in November 2014, launching in parallel in Dubai, London and DC. Fifty percent of the bookings come from Dubai, 30 percent from Beirut and the remainder evenly split between London and DC. Overseeing a 10 person team that is largely in Beirut, Naïm acts as CEO and MD-EMEA while Washington serves as CFO and MD-Americas. They are currently on the prowl for a CTO. To beef up on food tech, the pair applied for and were accepted to join the first cohort of the 2014 Digeatall accelerator program held at the Basque Culinary Center in San Sebastian, Spain. One of only 10 startups - and the only idea from the Middle East - selected to participate in this debut program for food tech startups, they were awarded second place, receiving top marks from an investment panel comprising angel investors, venture capitalists, Michelin star chefs, and senior food industry executives. “We are growing at a rate of 20 percent month on month,” Naïm told Wamda. They are also collecting accolades along the way, most recently winning first place in the Arabnet Beirut 2016 Early Stage Demo Competition. They landed a $500,000 seed investment, from ex-colleagues and other investment professionals, a month after launching, and by the end of this year they aim to close a Series A round of $2 million. Naïm told Wamda that they expect to break even by mid-2017. “We’re looking to conquer the Middle East and GCC,” Naïm said. Launches in Kuwait and Qatar are planned for later this year, with Istanbul slated for 2017. 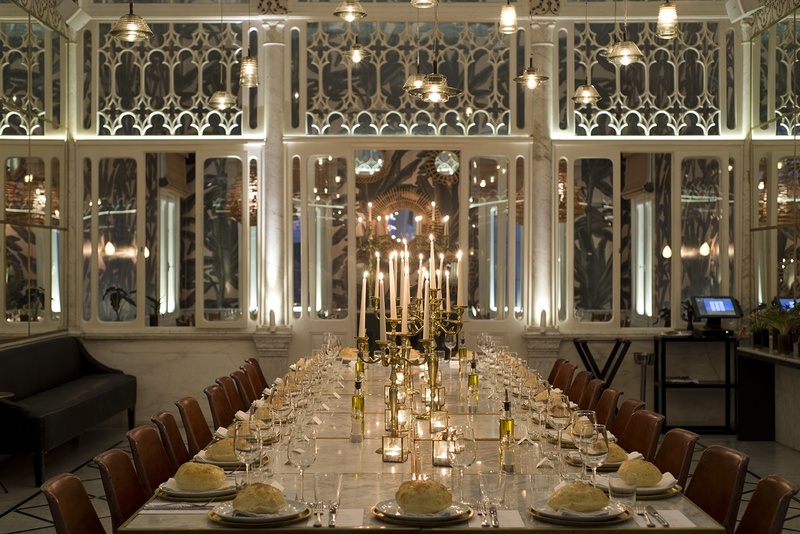 A popup dinner at Liza Restaurant Beirut. Cooking classes, corporate events and pop-up dinners are on the menu for future expansion, along with an app. 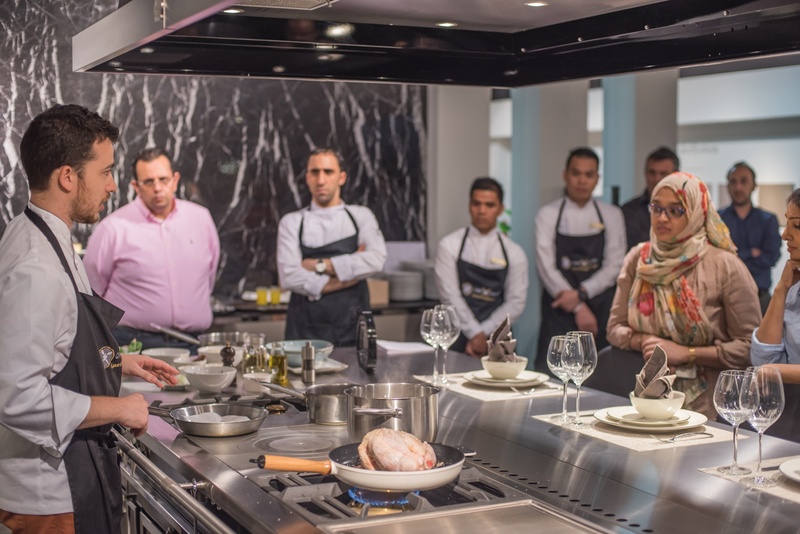 While prominent predecessors include US-based Kitchensurfing (which closed in April 2016) and European player La Belle Assiette, Chefxchange is arguably the first platform fully-operational in the Middle East. Other similar ventures eyeing the region are Foodiac and Miummium. Both platforms were announced in late 2015. The global food tech space climbed steadily between 2012 to 2014, exploding in 2015 with at least $6.8 billion of capital flowing into private companies. According to a 2015 report by Food + Tech Connect, a little over $2 billion of the funding activity occurred within the U.S. with the remaining investment and acquisition activity driven by China, Germany, India and the UK. In emerging markets, Asia continues to drive the bulk of funding growth, raising more than both Europe and North America combined in 2015 for what ended up being a record year. While deal activity has relatively cooled this year, the sector remains ripe for investment. Still food tech in MENA remains a nascent space. Are regional investors aware of the potential of food tech or is it still a difficult pitch? In Naïm’s view, the future for food tech in the region is promising.